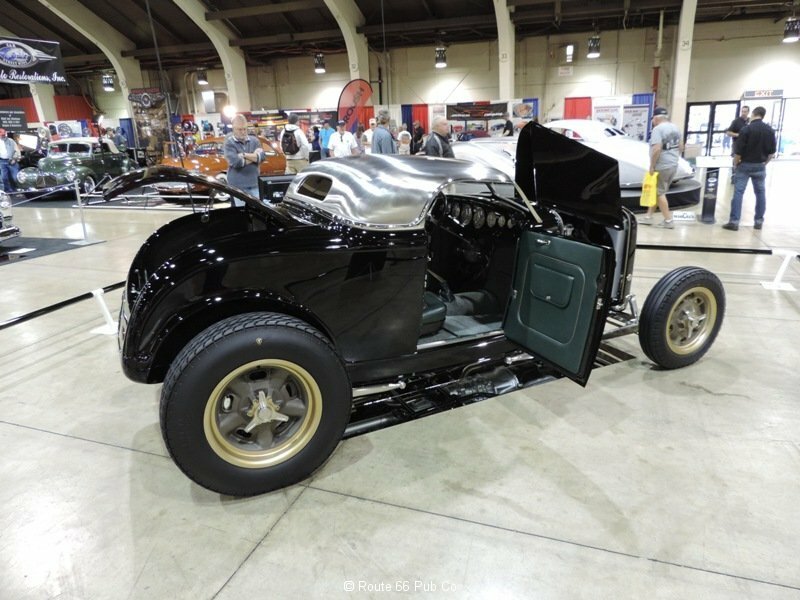 When you go to a roadster show, you expect to see roadsters. 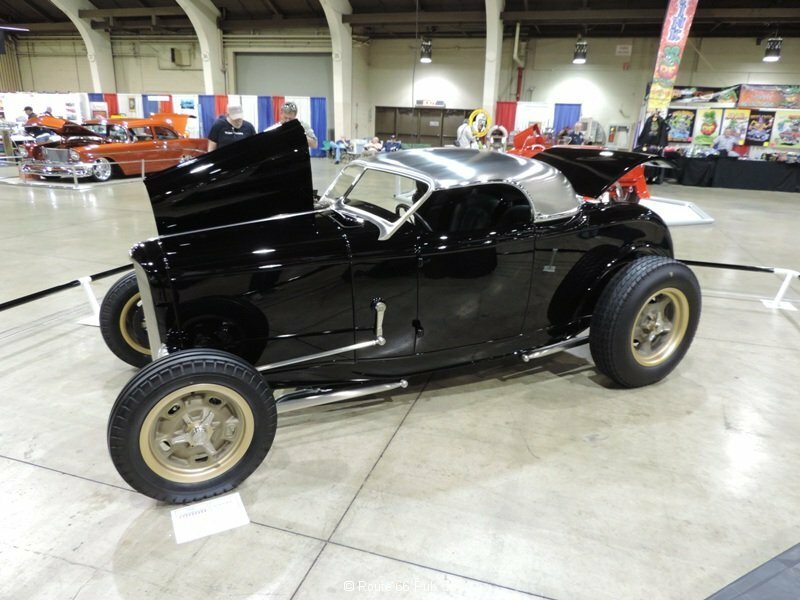 At the Grand National Roadster Show you’re going to see LOTS of roadsters. In fact eighteen roadsters were vying for the title of America’s Most Beautiful Roadster (AMBR). 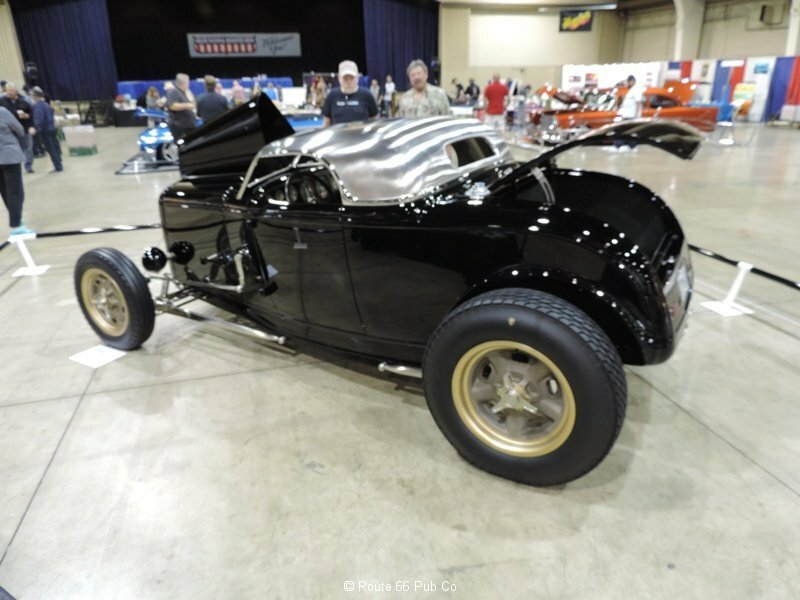 The winner came out of Bobby Alloway’s shop, but we also saw this 32 Ford and so did our friends at Hot Rod. 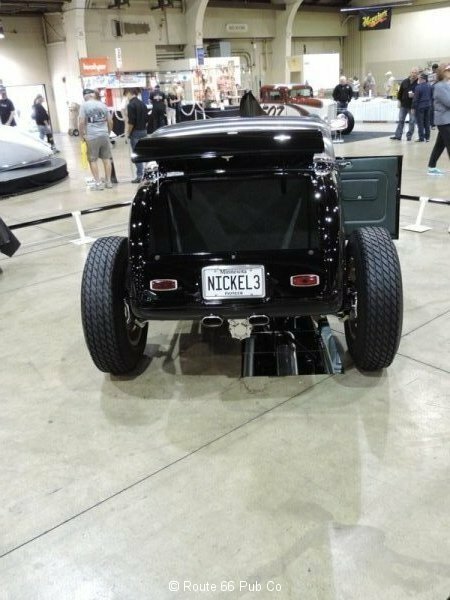 They are featuring the Triple Nickel in the July 2015 issue of Hot Rod magazine. and not been entered into any previous public show. And while the judges selected another car with an unconventional “top” last year, I don’t think they wanted to buck “tradition” twice in a row, so by displaying the car at the Pomona Fairgrounds with the stainless steel top attached, the owner might have lost a little interest. But there is no denying the look and stance of this car is killer. And those wheels! Those are actual cast magnesium wheels that were then CNC’d to the final design to mimic the old Hallibrand looks. 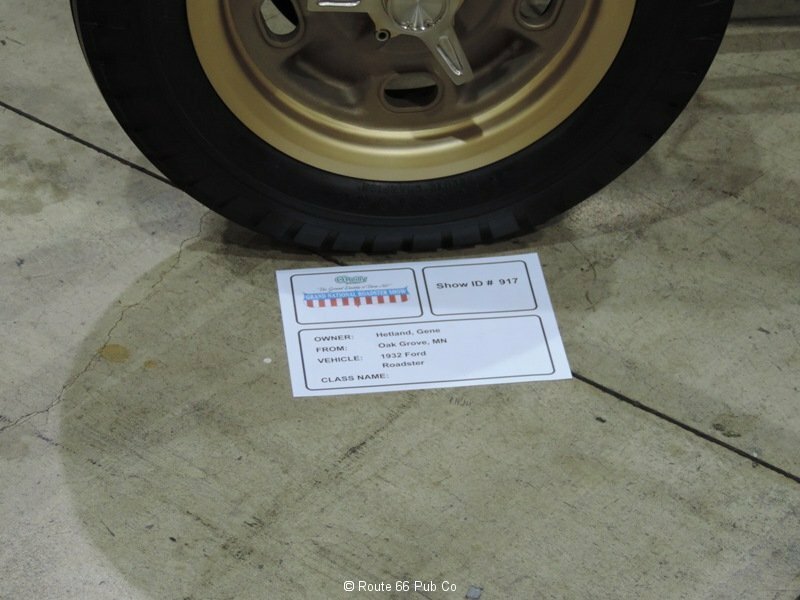 When is the last time you saw actual magnesium wheels on a new car? Yeah, I though so…. 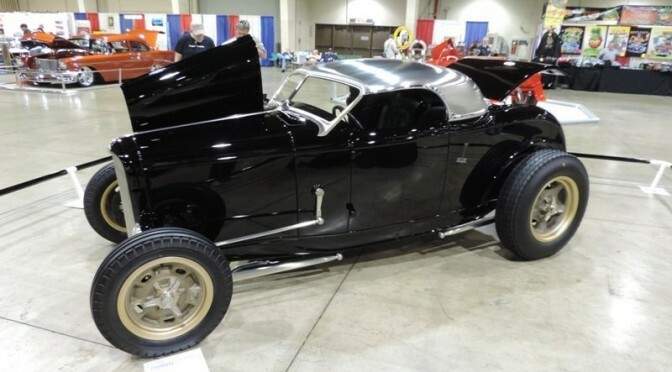 So enjoy our look at this Hot Rod featured car.